Hi all. Long time, no talk. Sorry for the lack of updates, but things should be heating up again soon as summer is in full swing. Speaking of summer, we wanted to share a few film screenings we’ve heard about around the country. If we missed some, please let us know. July 30th/Aug 2nd – Fast Times at Ridgemont High – Fathom/TCM Classics – U.S.
WE seriously need a 4K remaster for Almost Famous. Greatest things needs the best. We need a new Almost Famous type of movie. i could see the top of the picture before i could see the caption; i was trying to scroll down; i thought, “wow, who is that? he looks like a young PSH…”. i still feel such a loss! Love the movie — it is the 70’s! Sure do miss Roadies. My husband and I thought it was great. Almost Famous – The best movie soundtrack, EVER! Just 2 days ago I made my wife a fan of Almost Famous ❤️ love that movie, that period and that music!!! One of my favorites of all time!! Sick. Almost Famous is my favorite movie and I’ve watched the majority of Fast Times late on HBO the last two nights. Almost Famous is one of my favorite movies. I graduated High School in 1973, so this is my era. I love the soundtrack. That scene where they are all in the tour bus, singing Tiny Dancer is iconic! ’73 here too. Good times. Contact me about the almost famous sequel. Its almost finished! “Tiny Dancer” was my daughter’s selected song for the father/daughter dance at her wedding a couple years ago. THAT was cool. I miss Philip Seymore Hoffman so much. It is already sold out in LA? You can always invite me to another. Jill (who had been an AD of yours) is my sis. I’m an avid fan of your writing and direction. 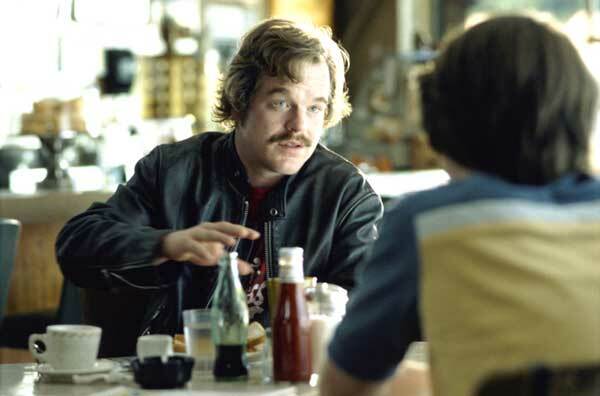 Almost Famous remains one of my top five favorite movies. After many viewings, it endures perfectly. You *ARE* home! Wish it was here on the big screen! Oh how I wish could see Almost Famous on the big screen just once :). Of course, I am hoping that any future news involves whatever C.C. is cooking up and yes, I am hoping that “Roadies” will one day be available on DVD. I deeply miss that show and would love the chance to see it all over again. I can’t believe I missed tickets for July 20 LA – such a great film and a very cool way to see it! Los Angeles of New York? ? Felicia van der Perk kerkstraat 22 ook goed ? Jan van der Knaap altijd gezellig!